Hi Lilli, this is my favorite look, you look so fresh and radiant in all pics! Love the combination of outfit! 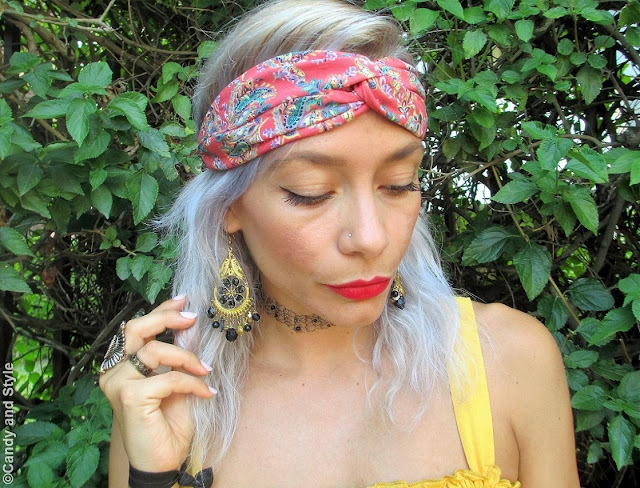 Sei splendida in giallo e i dettagli di questo look sono perfetti! Just beautiful Lilli! You look like a ray of sunshine in this dress and your accessories are always the best! Love your yellow dress Lilli.mits so pretty and feminine. Love your black espadrilles too. I have something similar and I love wearing it even during the Fall season. Ma quanto stai bene con questa fascia? Mi piace un sacco e enfatizza il tuo lato boho. Molto carino anche l'abito giallo. I like this colour on you and the dress is pretty! this is such beautyful dress for you. For long time i was sure, yellow is a color just for people with dark hai. But this is not true. It´s just a question of the shade of yellow. Enjoy the summer dear Lilli. my weather app told me, at weekend the summer will be finish in Germany. I haven't seen Bata here in Canada but I really need to have a look at the brand again because that pair of wedges is so pretty! Ciao Lilli, it seems a perfect color for summer, wasted energy and the neckline is so hot this season! Bellisisma. Lilli come stai bene con questi look un po' anni 70!! Carinissimo l'abito! Yellow is such a happy colour! Love this summer dress, it looks lovely on you. In this outfit you kind of remind me of a modern day gypsy princess! You look so, so cool! The headpiece looks perfect together with the beautiful yellow dress! I must say that yellow is definitely your colour as it does suit you so well!